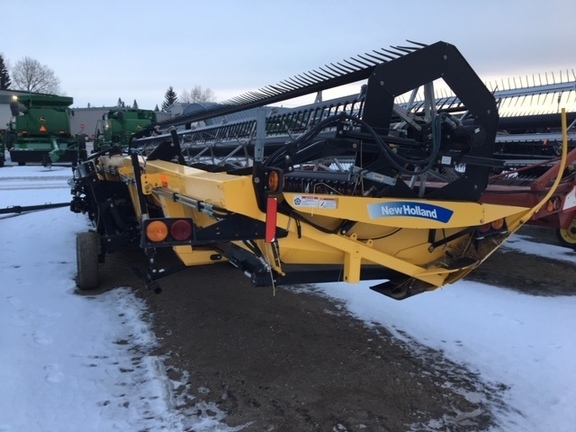 36 ft New Holland branded Honey bee draper platform. Double knife drive, double draper drive. Set up with adapter for S series John Deere combine.